Electric Speed Shifter Kit for Honda Grom 2014-2019. 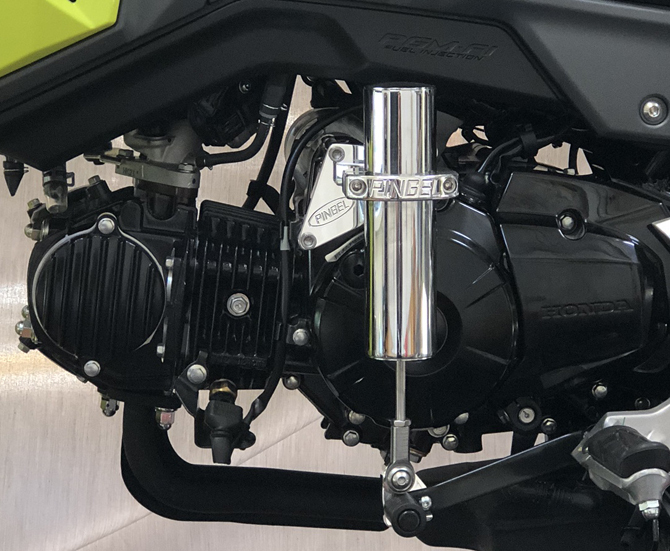 Pingel Electric Speed Shifter Kits include a dual button handlebar control, a shift cylinder support bracket and the state of the art control module which sends a quick signal from the dual button handlebar control to the shift cylinder. Also included is the electronic engine kill module and step-by-step instructions with photos for an easy 2-3 hour installation.